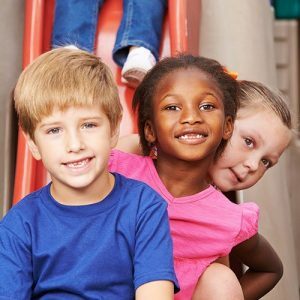 The Community YMCA is an Equal Opportunity Child Care Provider. The Ridley Area YMCA Child Care is State Licensed following the PA Early Learning Standards. Our Child Care program features: Arts & Crafts, Musical Activities, Creative Play, Circle Time, Indoor Play Area, Family Events, Snack Time, Creative Curriculum, Swimming, Outdoor Playground, Field Trips, Special Events, and Pre School Gym. YMCA Child Care accepts CCIS 1.800.831.3117 clients and welcomes CHIP 1.800.822.CHIP. Want to tour or register? The Community YMCA is the largest provider of School Age Child Care in Delaware County. We believe that learning never stops and that children should have a place to explore their interests and talents. Our professional and highly trained staff provides daily activities focused on academic enhancement, social growth and physical activity. Children connect to build lasting relationships, develop a sense of belonging and cultivate leadership skills. Register now for the 2018-2019 school year. First month’s payment is due at the time of registration. Additional paperwork will be emailed after registration is completed. Third party registrations, please contact Jeannine Hurlock at jhurlock@cyedc.org or at 610.713.5258.